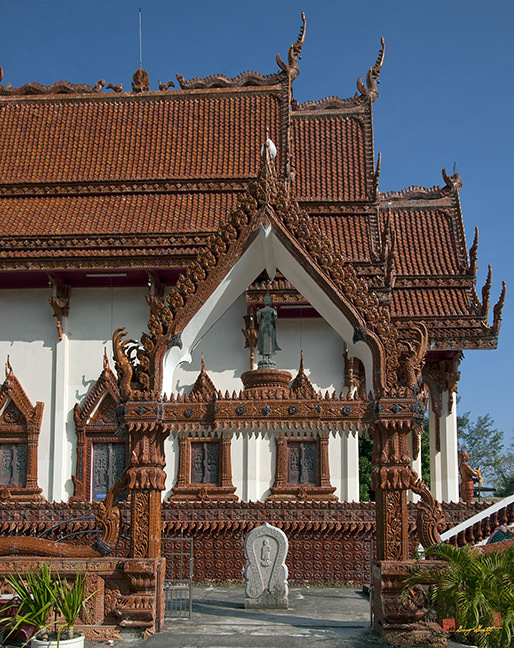 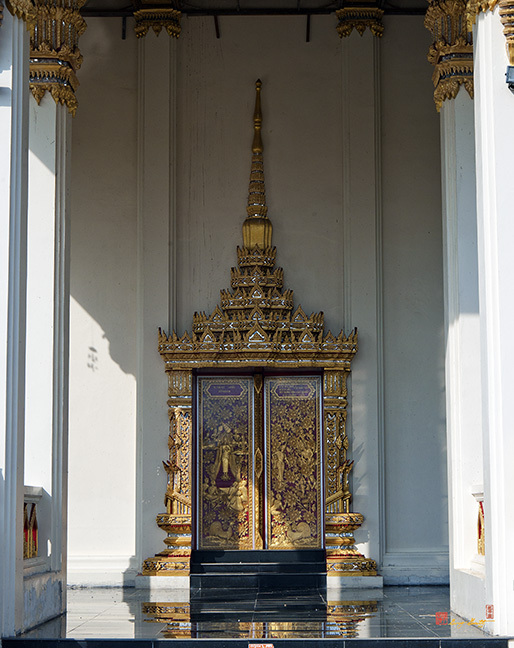 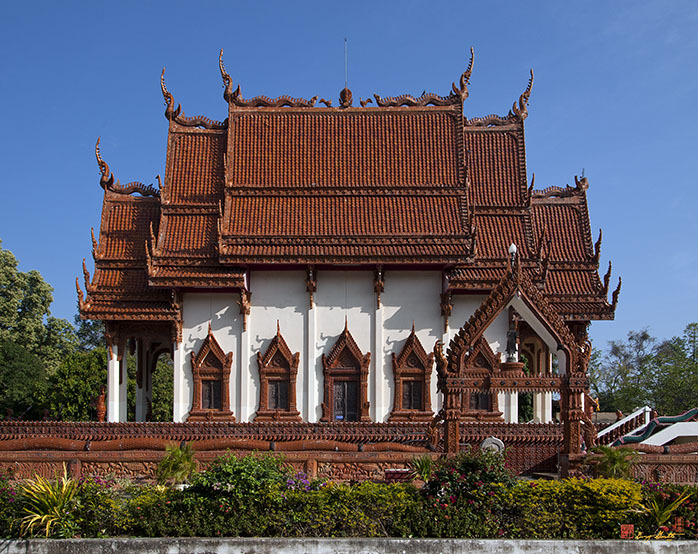 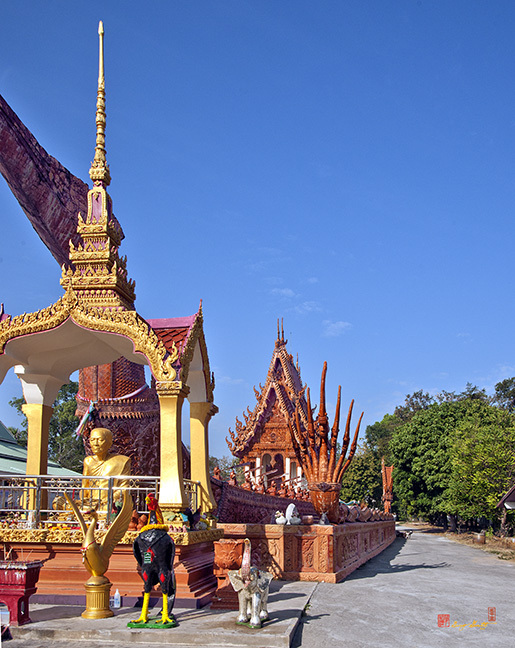 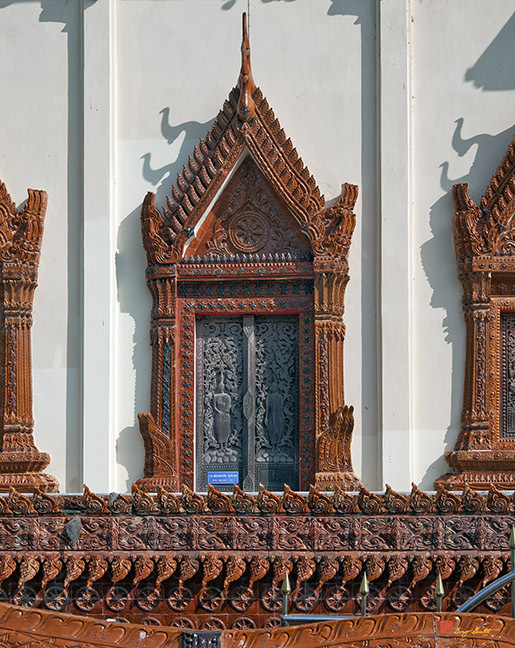 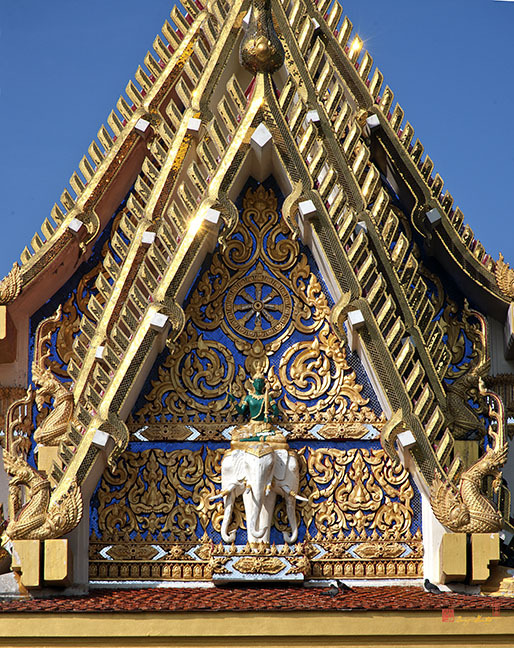 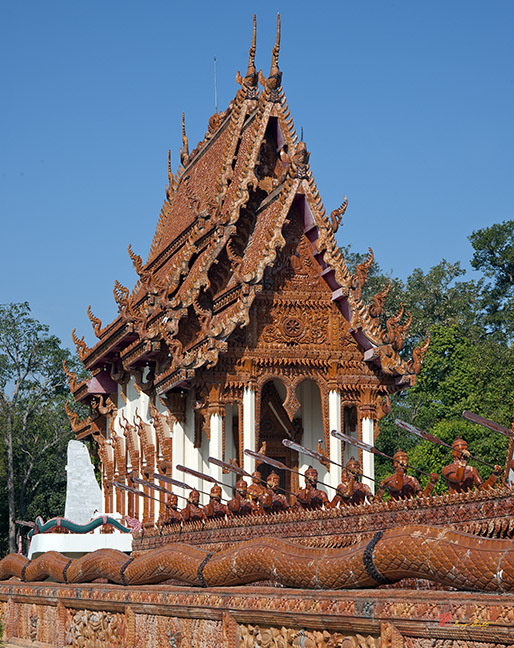 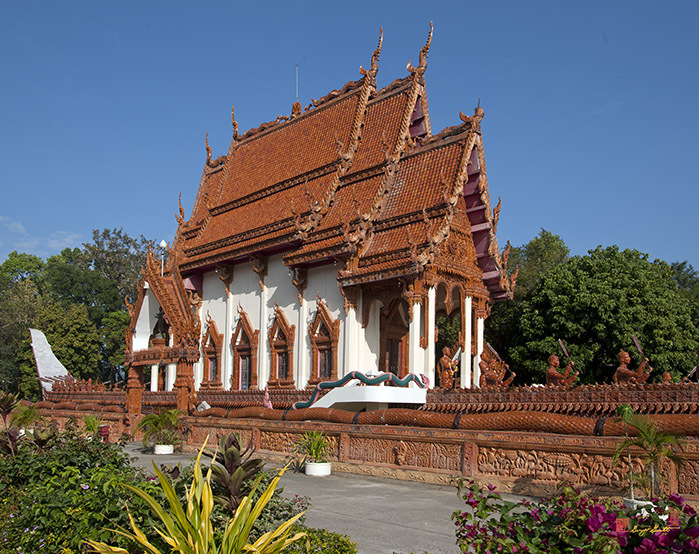 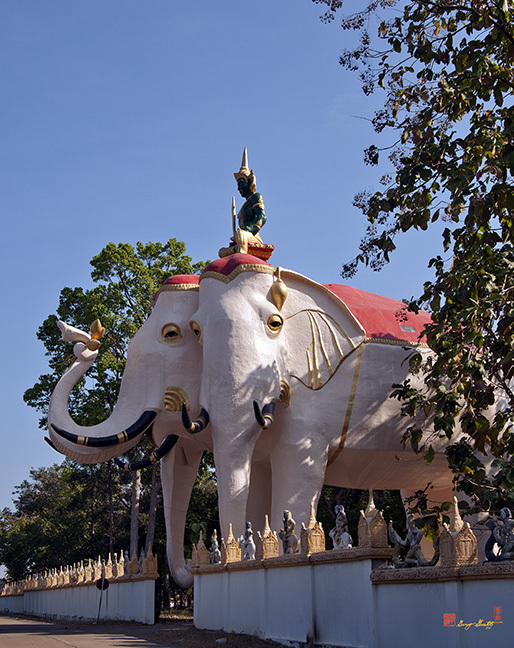 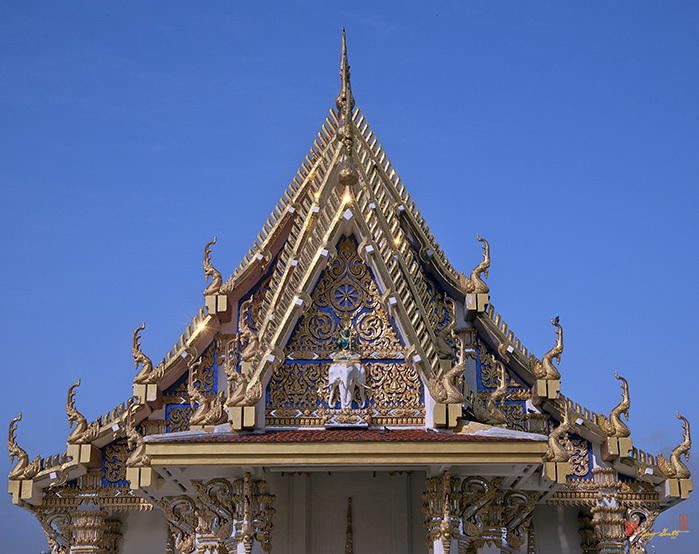 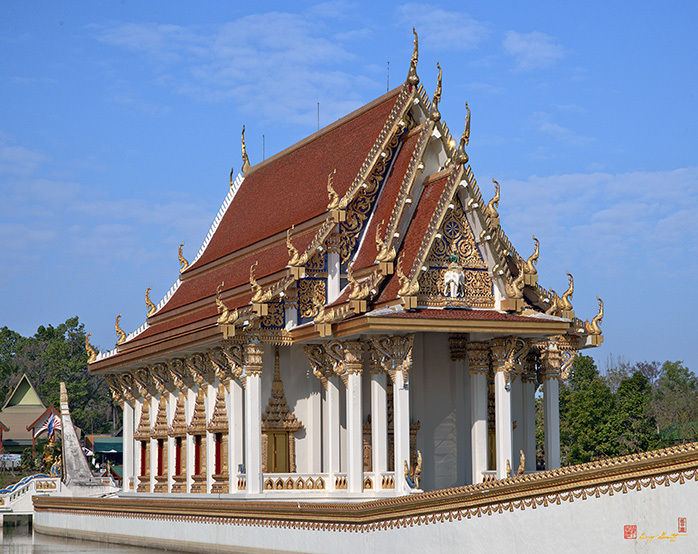 Wat Ban Na Muang, วัดบ้านนามือง, or Wat Sa Prasan Suk, วัดสระประสานสุข, a temple in the city of Rai Noi, Ubon Ratchathani, Thailand, is notable for having both the Ubosot and the Wihan built atop replicas of river barges. 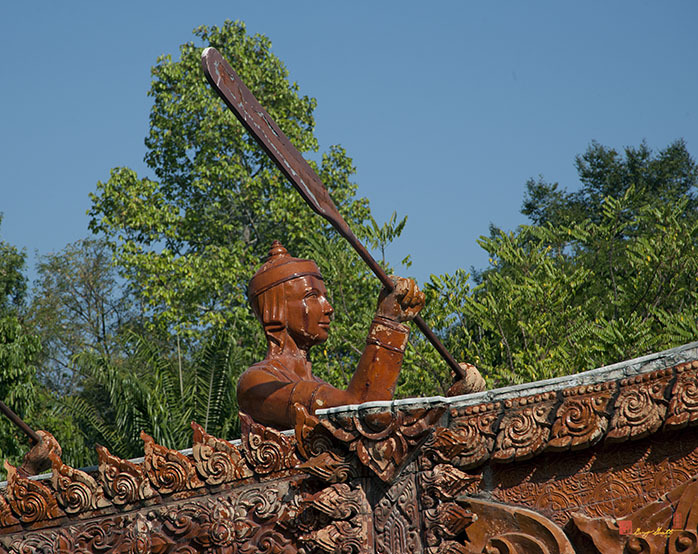 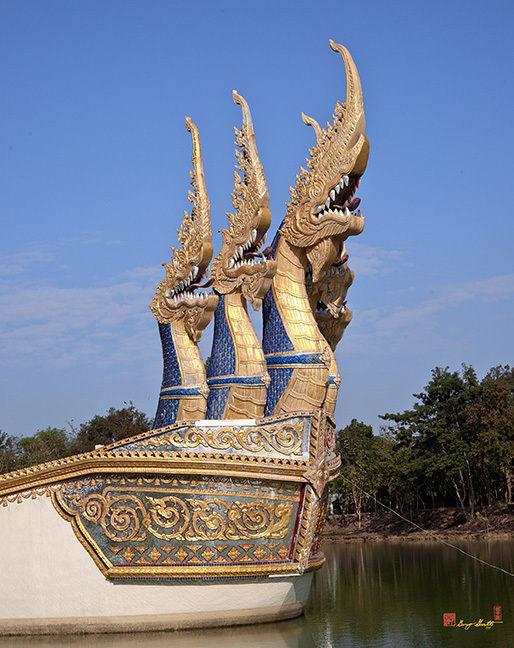 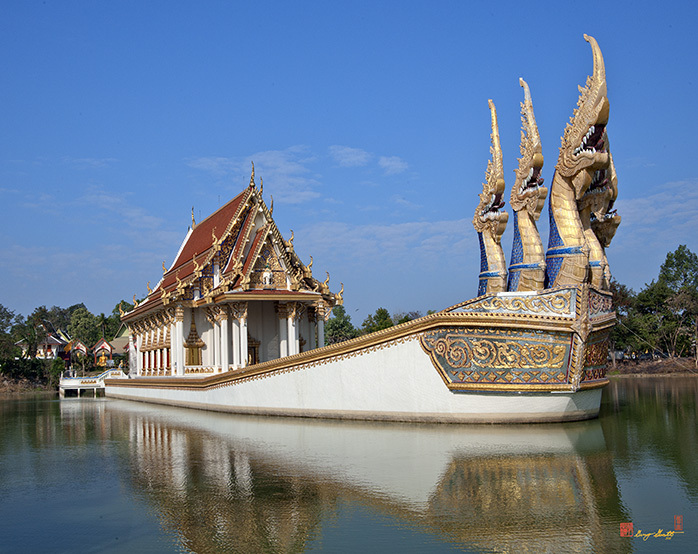 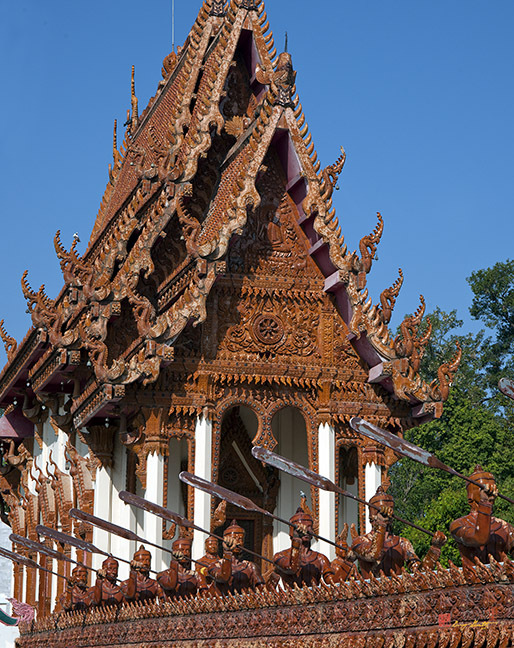 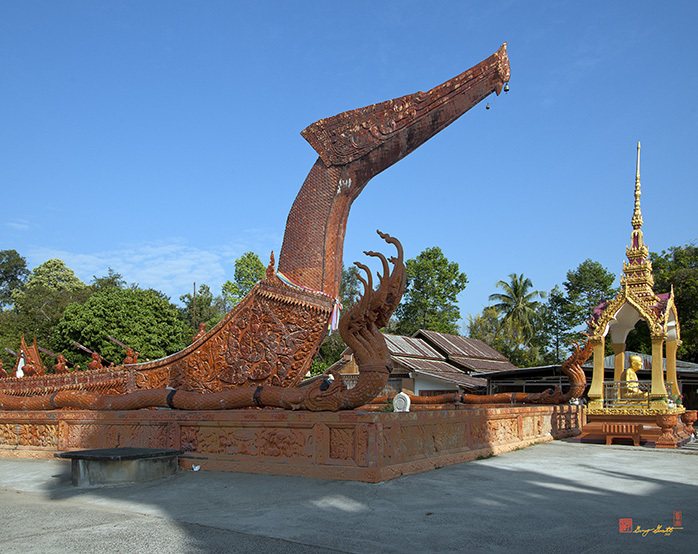 The Ubosot barge is complete with rowers and is covered is brown lacquer and represents a dragon barge. 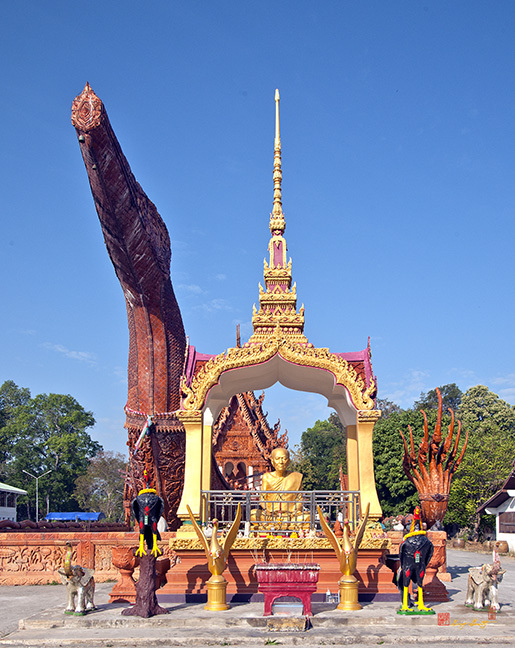 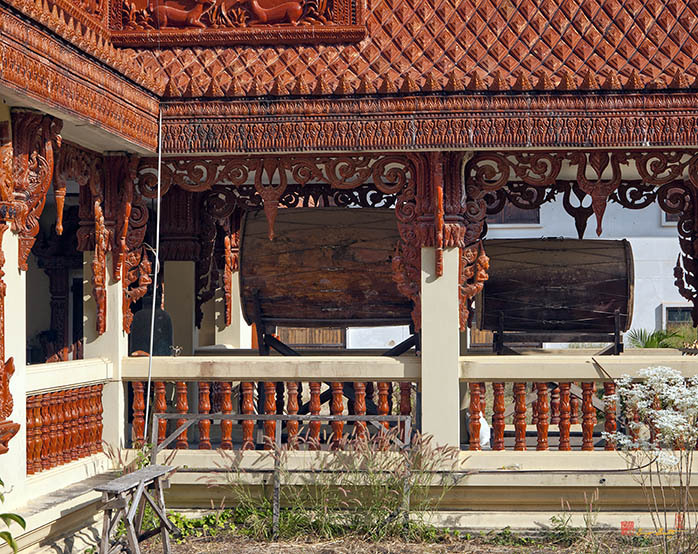 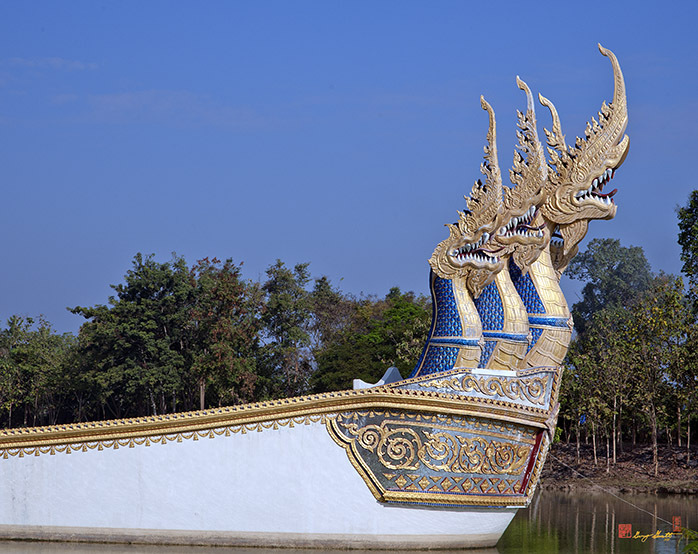 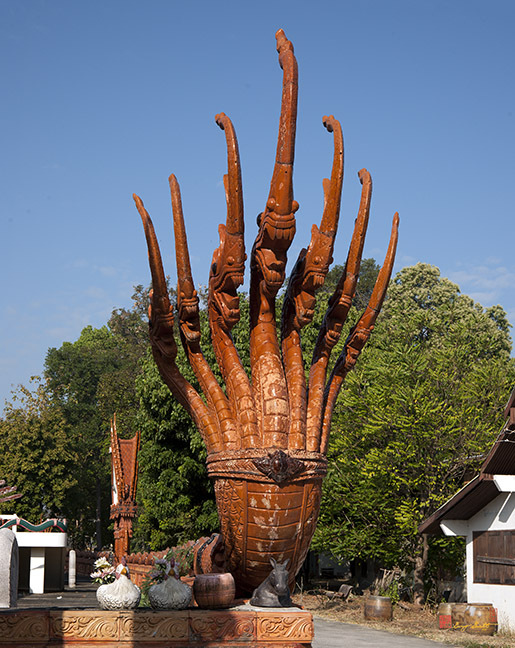 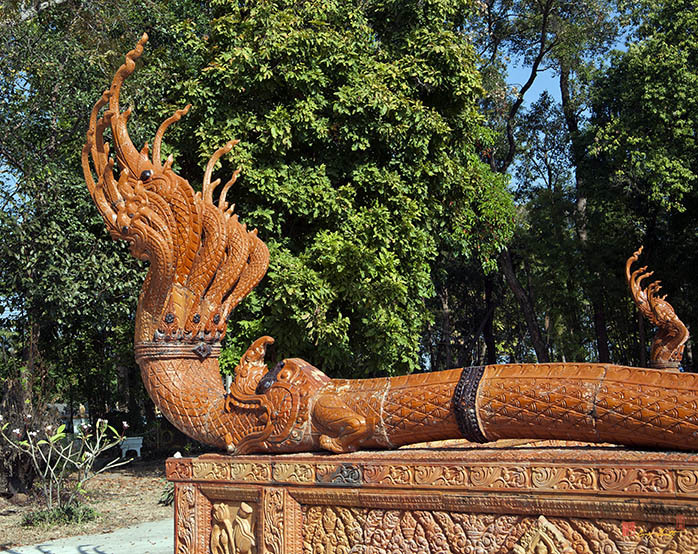 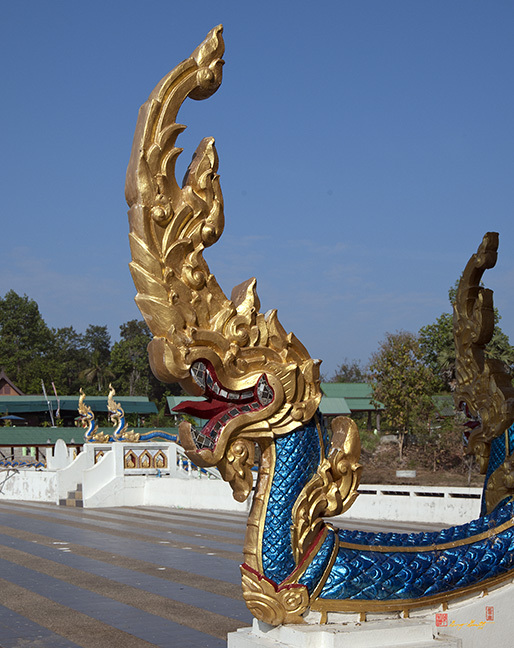 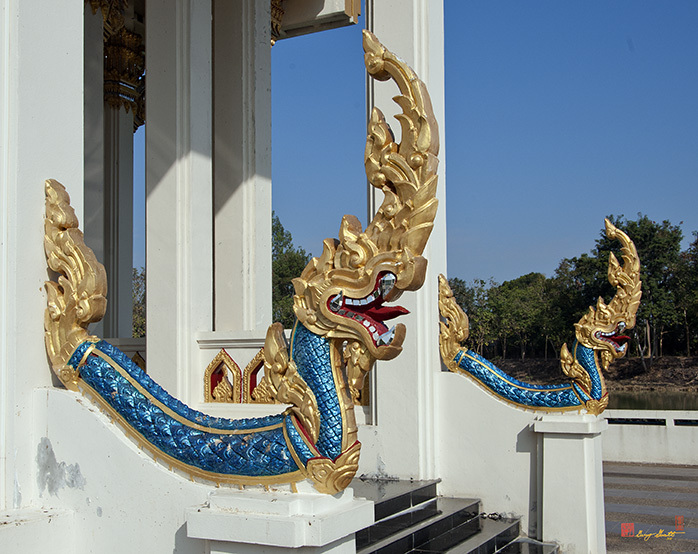 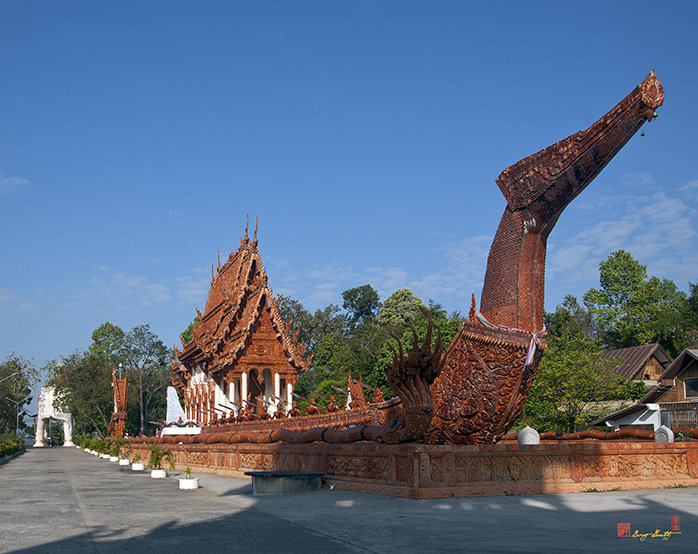 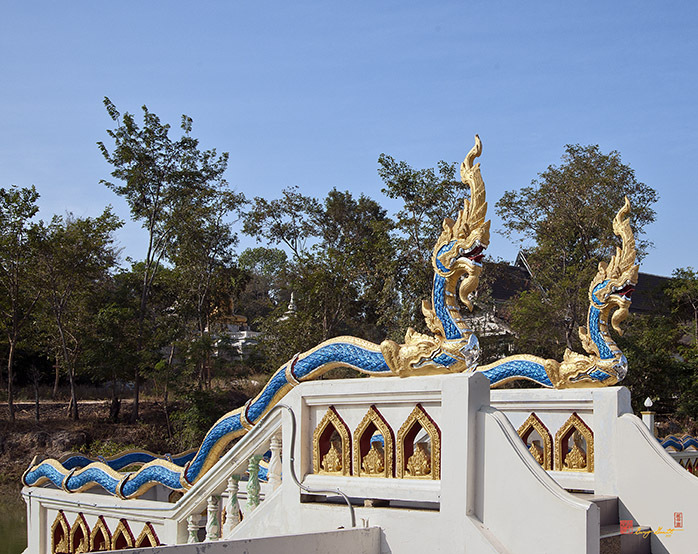 The Wihan barge is painted concrete and represents a Naga barge. 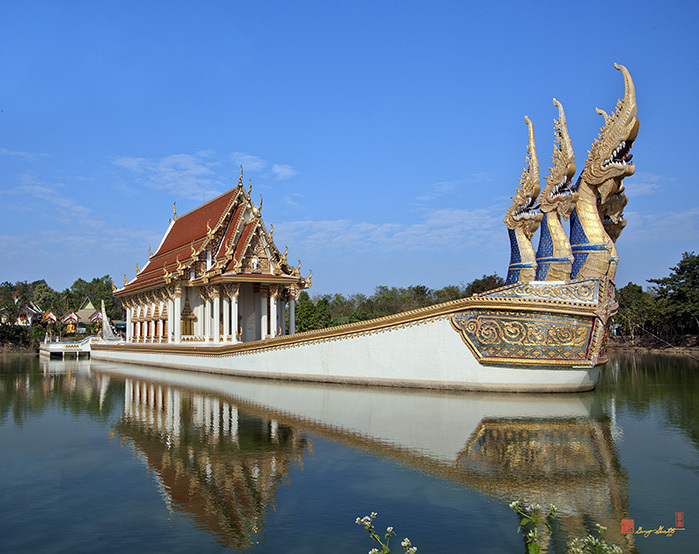 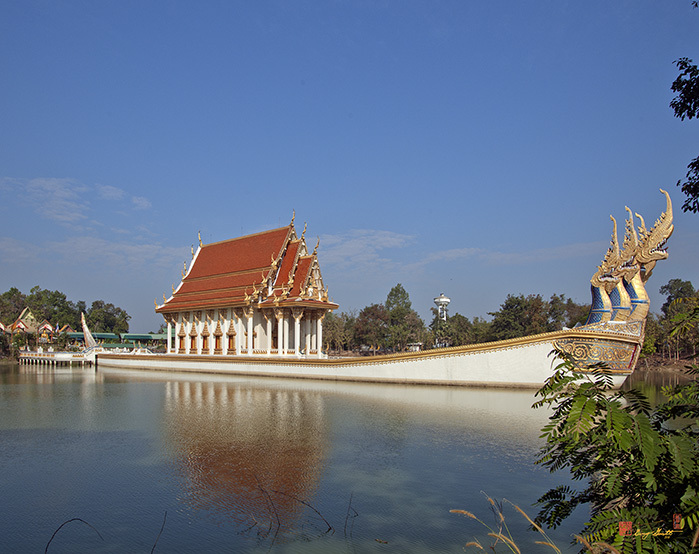 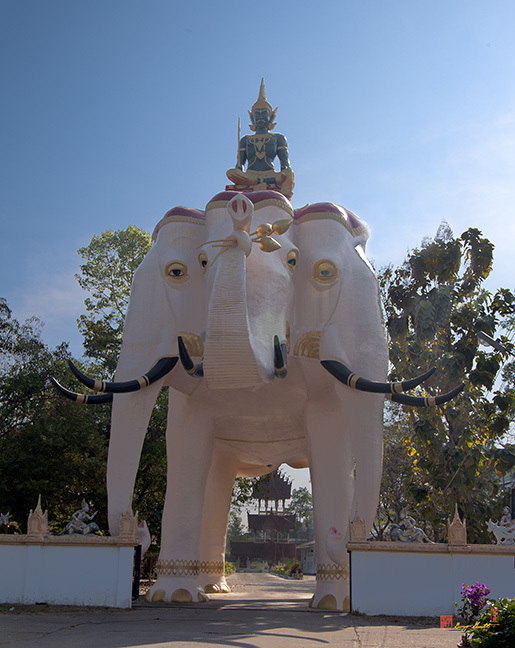 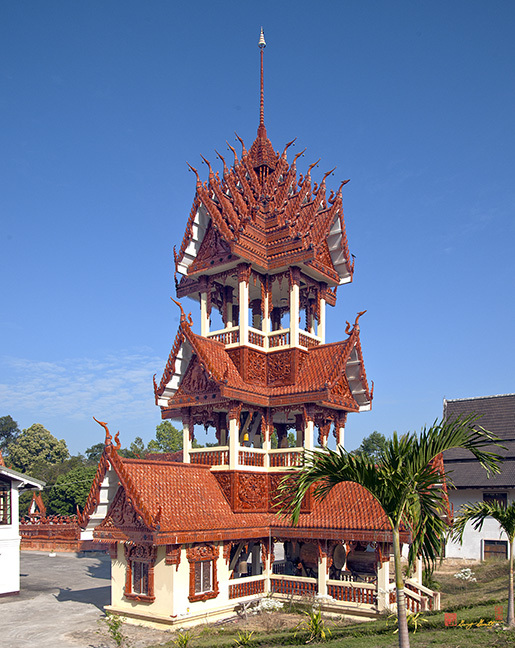 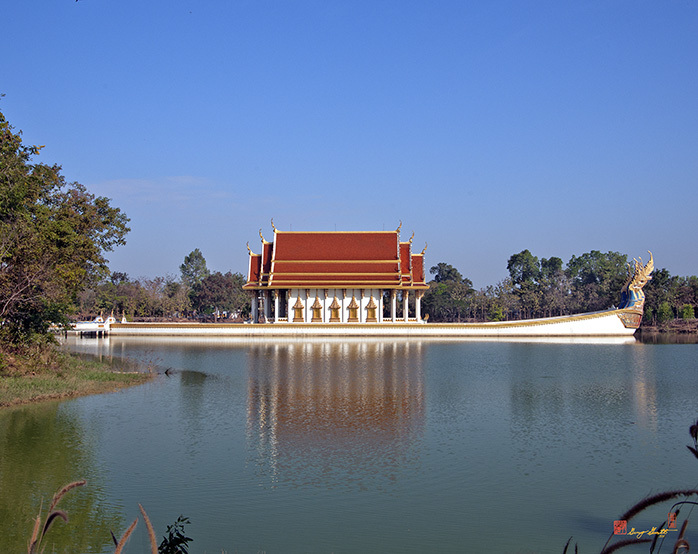 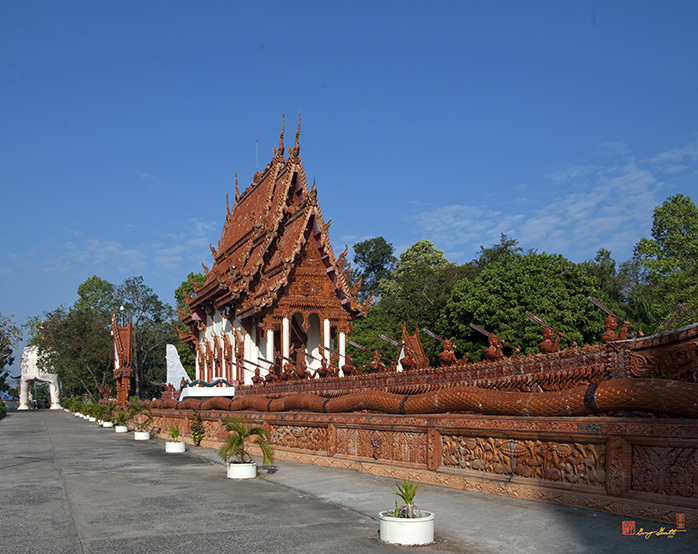 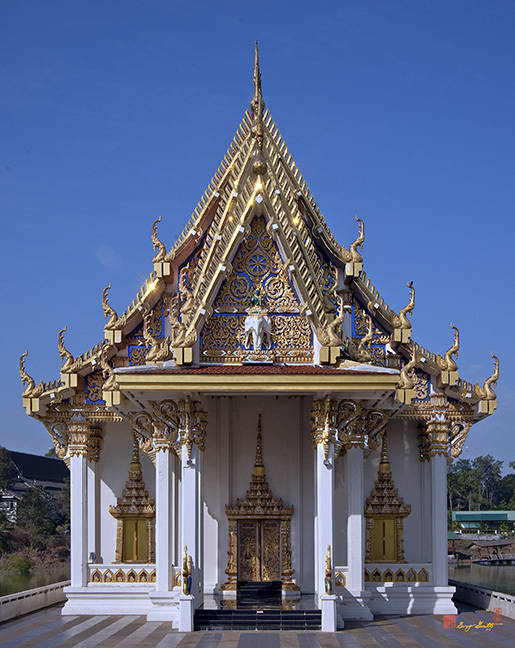 The Ubosot is located in a paved lot, but the Wihan is situated in a small lake.